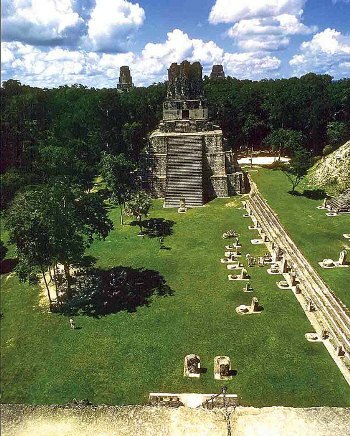 Deep in the Peten jungle of Guatemala, rises the grand Maya city of Tikal. It ranks among the most significant archaeological discoveries of the region, and there is no easier way to get there than from Belize. Take this two night tour showcasing the entire site including the Palace of the Nobles, Temple IV, Temples of the Masks, and Great Jaguar, among others. See the flora and fauna of the surrounding rainforest where Jaguars and Tapirs roam. Exploring Tikal is a great way to begin or top-off any vacation to Belize. You’ve come all the way, don’t miss it. This tour includes: round-trip airfare from Belize City, 2 nights accommodation, breakfast and lunch, English-speaking guides, transfers and park fees. Please do not forget your travel documents. You will also need $33 USD in cash per person for your Guatemala exit tax.